Modest! 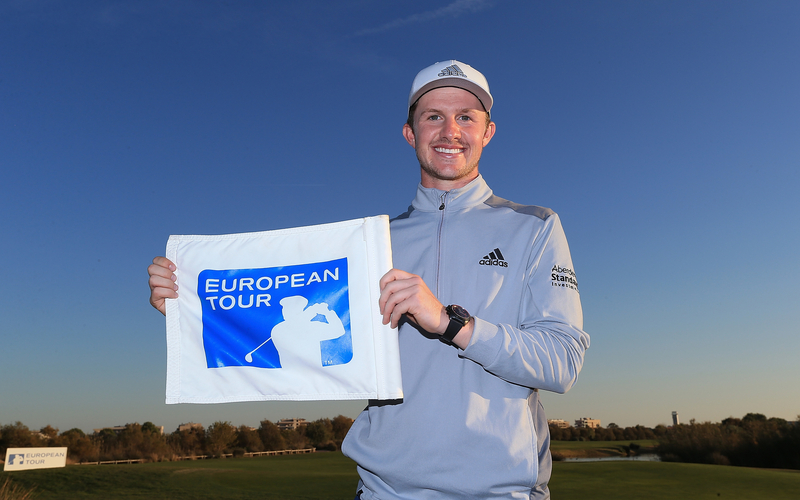 Golf player Connor Syme continued his fantastic form since turning professional by securing his playing rights on the European Tour for the 2018 season. Having finished tied 12th and tied 15th respectively at the Portugal Masters and the Alfred Dunhill Links Championship in his first two events as a professional, Connor has made the step up to the European Tour by finishing tied 9th at the European Tour School finals in Spain. He gained the 11th card having come through a gruelling ten rounds of qualifying, including four rounds at the second stage. Having capped off his amateur career with being selected for the Walker Cup Matches in September against USA, the former world number eight amatuer player looks set for a bright future. All of us at Modest! Golf wish Connor every success for the new season on The European Tour.